BAT - BLOG : BATMAN TOYS and COLLECTIBLES: Duke's BATMAN TV and MOVIE BATMOBILE CAR Photos! 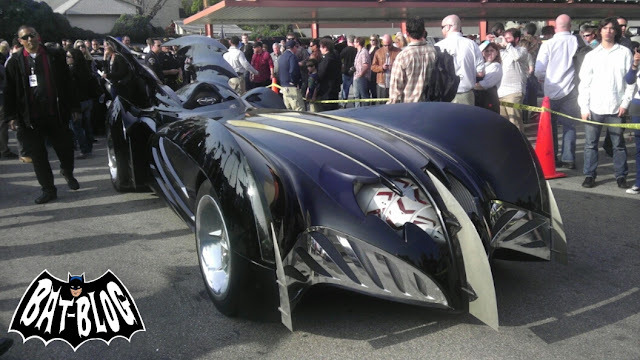 Duke's BATMAN TV and MOVIE BATMOBILE CAR Photos! 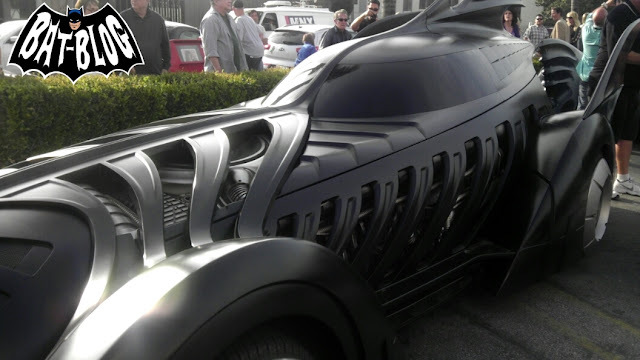 Here are some amazing photos a Bat-Blog Fan named Duke was kind enough to share (Please be sure to click on them for larger, more detailed pictures). 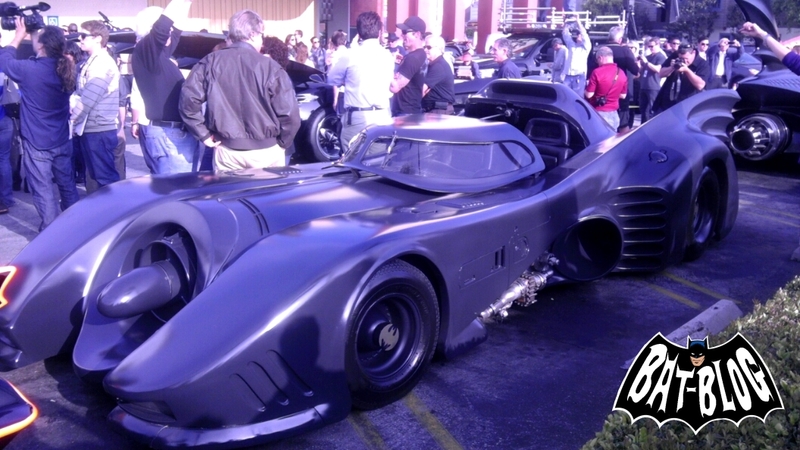 Yes, right out of the blue, these amazing pics showed up in my email box... awesome! Duke grew up in Toluca Lake just blocks from Barris Kustom's Shop. He said he has been inside the back room many times since being a little kid and also added that George Barris is a very cool guy. OK, back to the photos. 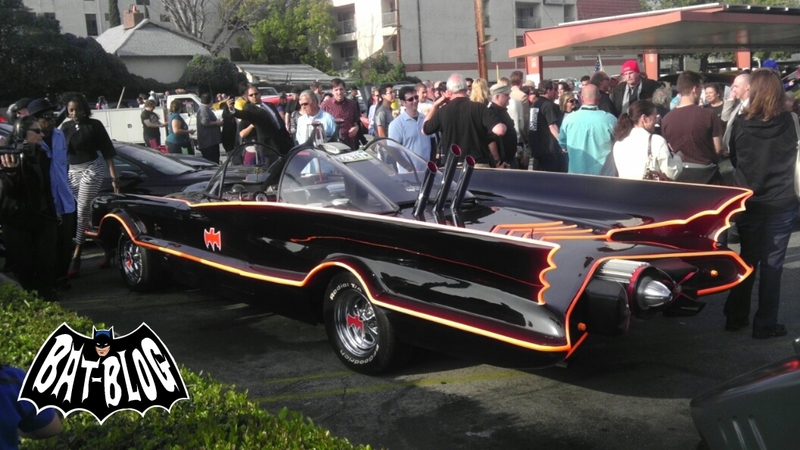 These pics were taken just down the street at Bob's Big Boy Restaurant when all the Batmobile Cars joined together last year for one big event. I remember that! 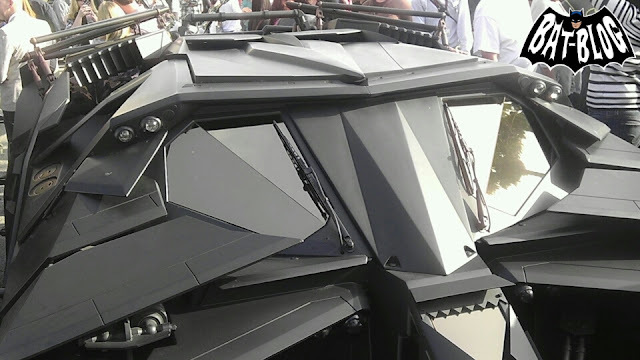 It was for when Warner Bros made that short film about "Batmobile History".